I know, that sounds like a weird headline. 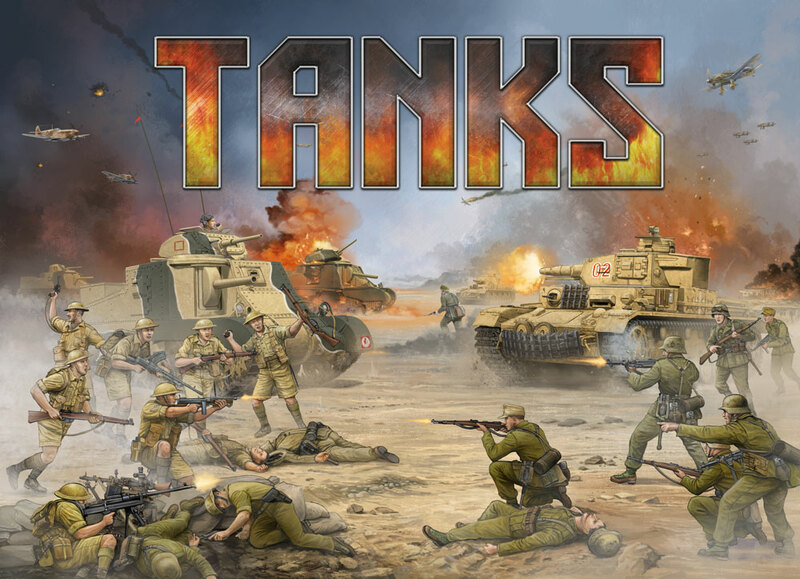 Battlefront is bringing helicopters into their popular tabletop miniatures game, Tanks. Hence, "Battlefront Brings Helicopters to Tanks." 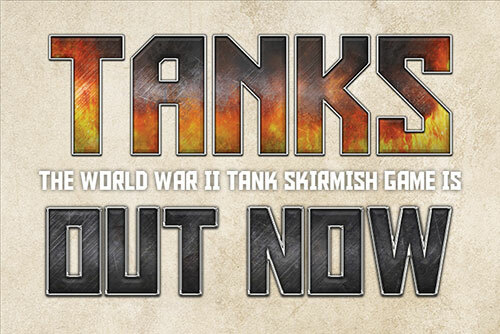 Take to the skies with these tanks of the air, and rain death down upon your enemies with this new expansion. Battlefront's popular Tanks game lets players command rolling behemoths of steel and oil across battlefields, trying to take out their opponent. The original relases focused on WWII, but now, WWIII is going to be rolled into the mix. Battlefront is bringing the Team Yankee gear into Tanks, and you can get a first preview in this article. Battlefront is expanding their popular Tanks game to the modern age. 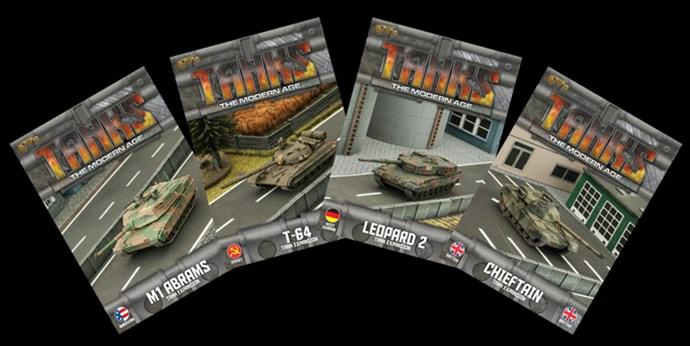 With their new releases, you can hit the field with all the state-of-the-art tanks, tank hunters, and other vehicles. And it's not just land-based machines. 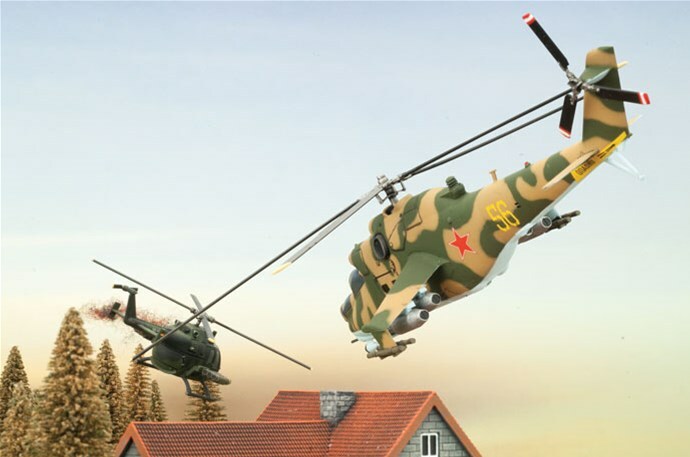 This new version has helicopters as part of the mix, too. Pre-orders are being taken now. Battlefront is bringing new Soviet tanks to their Tanks miniatures game. But they want to make sure you know what you're getting before you get it. They've put up a series of preview articles of different tanks, along with some upgrades that you can use to customize your forces. Battlefront has been really busy over the past couple weeks. They've got a new website up for the 'Nam game, as well as they're currently running a sale over there. They've got a new FAQ for Tanks, which should help everyone make sure they're playing the game right. And they've also been prepping for the next show: Hammerhead 2018. 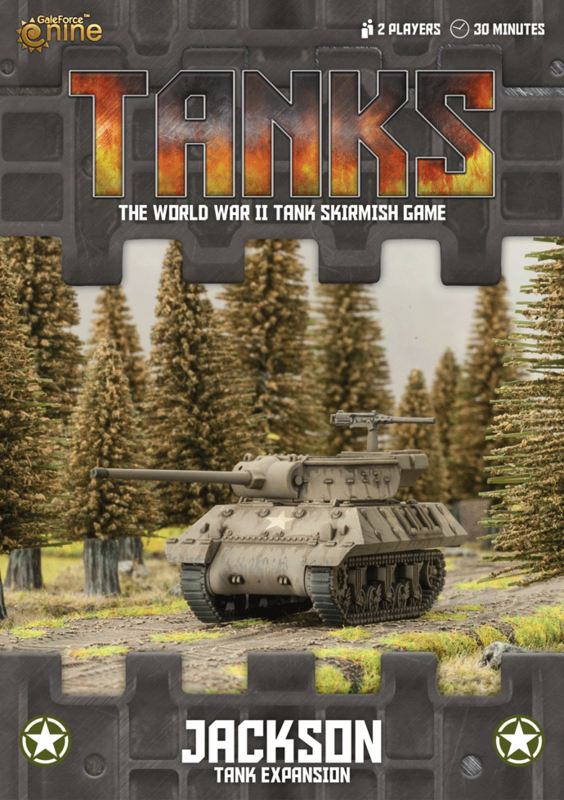 With Battlefront headed to North Africa with their latest Flames of War releases, they've decided to head that direction in Tanks, their armored skirmish game as well. In May/June, they'll be coming out with 6 new sets. The German Tiger Tank was one of the most feared pieces of war on the battlefields of Europe during WWII. It was no small feat to actually defeat one in combat. Many allied tankers would just do their best to avoid conflicts with one. 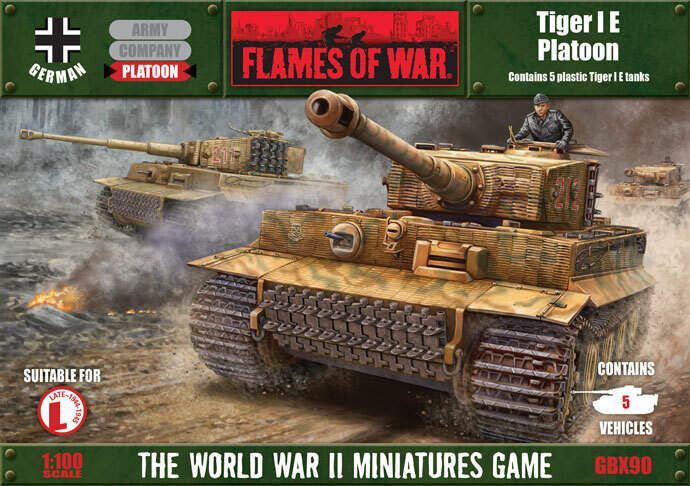 Well, Battlefront is letting you field groups of them in your Flames of War armies, and they've also made very limited numbers of Marsch Edition boxes with extra content. Germany's tanks during WWII were the epitome of technology at the time. They had some of the biggest guns and thickest armor ever used in battle (outside of the navy). You can bring that punch and toughness to the tabletop in Tanks from Gale Force Nine. 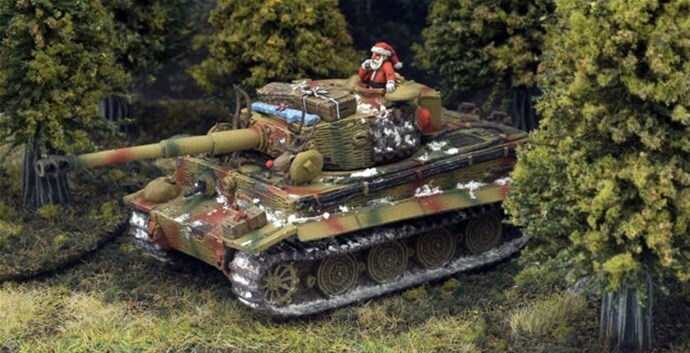 Here, we get a look at the Tiger I. It's time once more for a Review Roundup. Why? Because it's Saturday! Woo! As you read this, I'm hanging out with some friends, playing games. Took over a group of favorites, and hopefully will get me a new Guild Ball opponent, too. I also baked brownies, because I can't go to a friend's place empty-handed. Hopefully you're doing something similar, be it at a friend's place, your garage, or your LGS. But anyway, I know you're really here for those reviews. Today we have: Legends Untold, Mage Wars Academy: Warlock & Priestess Expansions Review, Aggressor: Recon, Shadows of Brimstone, Tambuzi, Harry Potter: Hogwarts Battle, Kill Doctor Lucky: Deluxe 19.5th Anniversary Edition, Tanks: Panther vs Sherman, Junk Art, Roll Player, and Potion Explosion. While Tanks from Gale Force Nine puts the emphasis on the machines of war as they roll across the battlefields, blasting at each-other, one would do well to remember that without the crews, those vehicles would just be masses of metal and plastic sitting motionless on the battlefield. And those crews all came from different countries with distinct philosophies towards war. In these articles from Gale Force Nine, we get a look at some of the different Doctrine cards, as well as a look at the special card in the Mechanics kit. Before the United States actually entered into WWII, they had the Lend-Lease Program with various Allied countries. This allowed the US to give arms and equipment in support of the war effort without actually being committed to the conflict. Though I'm not entirely sure how one would use a tank after it'd been used in a world war by your friend and then given back to you. But whatever. One of the pieces lent was the M-10, which will be making its way to tabletops in Tanks in November. The countries engaged in WWII didn't just differ in the technology they put into their weapons of war, they also had very different training strategies and different combat doctrines that they followed. So if you just swapped a Panzer for a Pershing, you'd still have a different way that the tank was used in combat due to different tactics. 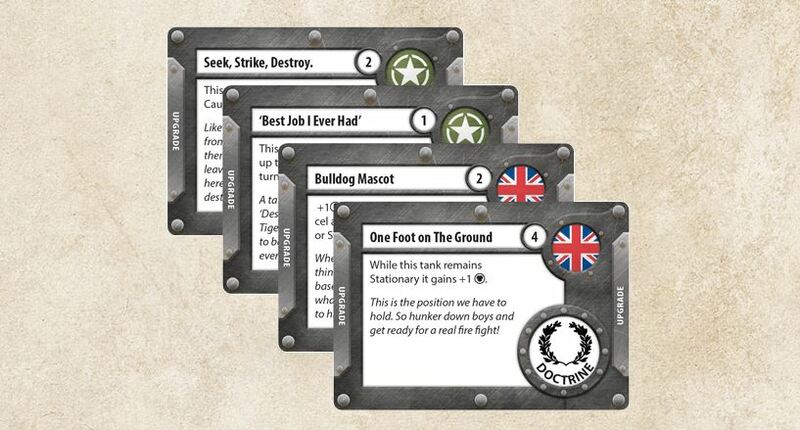 In Tanks, from Gale Force Nine, you'll be able to distinguish your forces a bit more with Doctrine cards, of which we get a preview today. 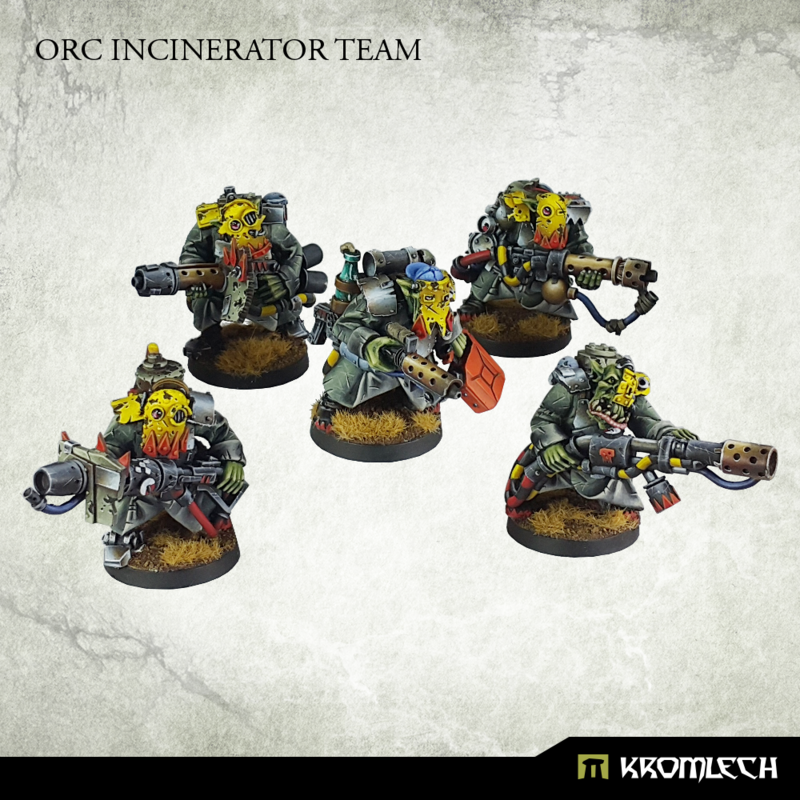 Gale Force Nine has posted up a new Tanks preview. This time around it's the British Achilles tank. If you want something with a nice bit of punching power, you might want to check it out. Yeah, I probably used that joke before. Whatever. Tanks, from Gale Force Nine, lets you jump straight to where most of us want to go and puts your tanks versus your opponent's. Well, they've got some new figures coming out in October. One of them is the Jackson, of which we get a look at today. The week rolls on. We've made it to Wednesday. I'm hoping your week is treating you well. After this, it's downhill to another weekend. We can certainly make it if we try. Until then, we should stock up on some bite-size gaming stories. And that's just what we have here. 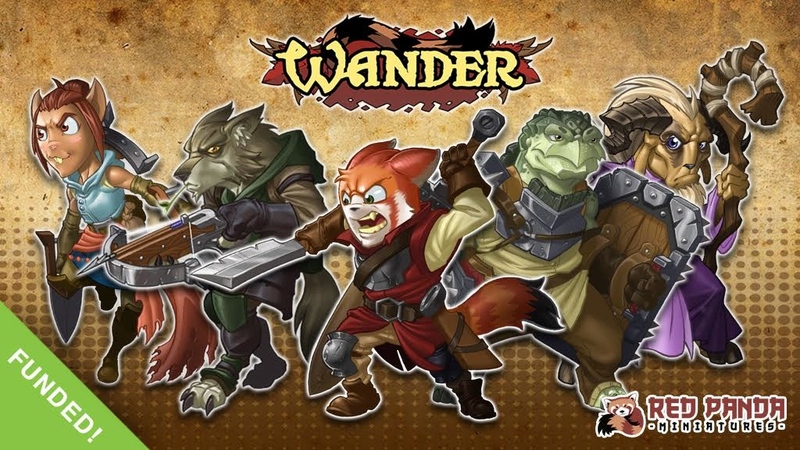 On the platter today is: Brother Vinni Releases New Shadows for Their Dungeon Sisters, The Lords of Rock Kickstarter is coming August 1st, Gale Force Nine share more details on Tanks Organized Play, Kromlech Releases New Legionary Close Combat Arms, New 30mm and 40mm Space Dungeon Base Deals from Tabletop-Art, Werewolf Star Player Added To RN Estudio Indiegogo Campaign, Hitech Miniatures Releases Sanctifier Cornelius, Rebel Minis Releases New 28mm Forsaken Packs, Pre-Order Roleplaying Spell Effects on Backerkit, and Kromlech Releases New Orc Incinerator Team. People learn in different ways. 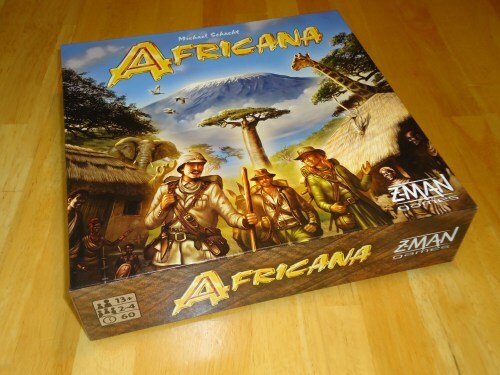 Some of you can just read a rulebook cover-to-cover and know everything you need to know about a game. Others learn by hearing the rules talked about with friends or on a podcast or something. Others still learn best by actually just trying something out. For those that are in that last group, Gale Force Nine has posted some learn-to-play scenarios for Tanks. 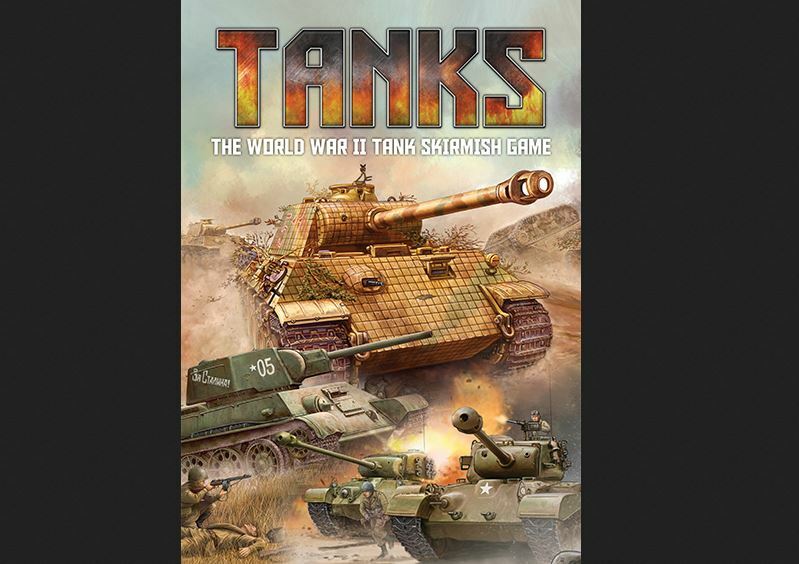 Ok, so Battlefront owns Gale Force Nine and they've got bunches of tanks, but this is the game, Tanks, that we're talking about, specifically, here. 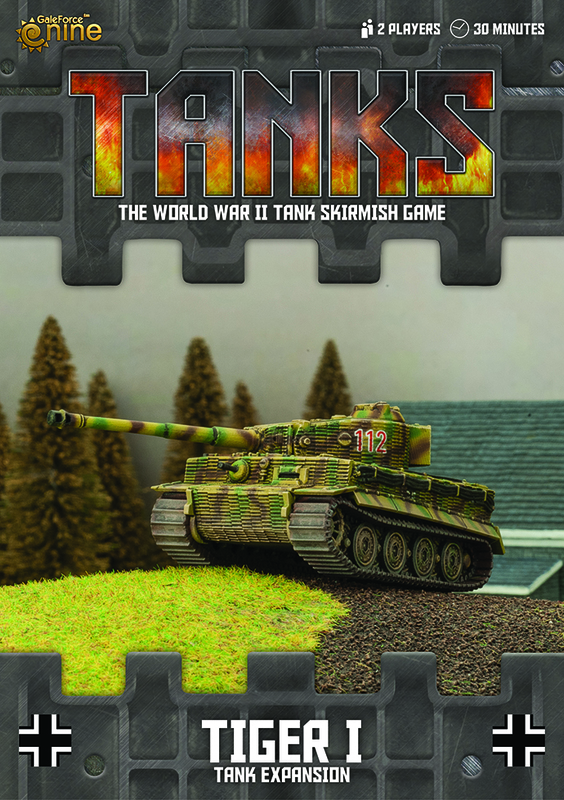 Grab your platoon of tanks and take on your opponent's in this quick, small-scale game. What is it about tanks that is just so damn appealing? Let's face it, a lot of us get weak in the knees over those multi-ton behemoths of the battlefield. Originally created to break the siege-like nature of the Western Front in WWI, they really came into their own during WWII. Dozens of types were created by the warring nations, each with upsides and downsides. Some were heavily armed and armored, but had the top speed of a brisk walk. Others were quick and maneuverable, but could be taken out by any upsized gun on the battlefield. Well, now Gale Force Nine is letting you find out which are best on the battlefield against one-another with Tanks.